Don’t believe everything you hear about compost. The most common composting myths … exposed! As admitted in that section, albeit through gritted teeth, compost does contain low levels of primary and secondary nutrients and important quantities of micro-nutrients. 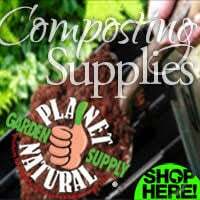 However, composts do not usually contain enough of the primary nutrients to qualify as a fertilizer or to satisfy the needs of most plants. But compost does contribute to plant nutrition, not primarily through the nutrients it contains but through those it makes available to plants. Just about every gardener knows about the three main fertilizers, the primary nutrients, required by plants: nitrogen (N), phosphorus (P) and potassium (K). 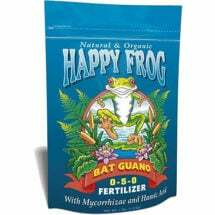 These three nutrients so dominate many gardeners’ horizons that nothing can be seen beyond them. Indeed, the misperception has grown up that if something is good for plants it’s because it provides these nutrients. Since compost is good for plants, it must, therefore, be a fertilizer. 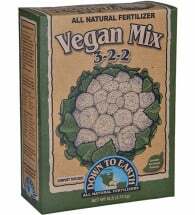 If it isn’t a fertilizer, how can it be good for plants? The development of synthetic fertilizers has encouraged a simplistic approach to agriculture and to gardening: providing the right chemicals solves all our problems. But nutrients alone cannot keep plants healthy if they’re in poor soil. There are several types of poor soils: heavy, clayey soil that doesn’t drain well, sandy earth that won’t hold water, earth that is either very acidic or highly alkaline, earth so compacted that roots can’t move through it easily, or earth low in the bacteria that actually produce nutrients from mineral particles or in the fungi that extend root zones, or earth that can’t hang onto the nutrients that are present or those that are added. As indicated in the previous section, compost can aid plants in many ways quite independent of its nutrient content. Because it improves soil structure, adds beneficial microbes, and boosts cation exchange capacity (CEC), compost improves the mobility of air, water and nutrients in the soil, all of which make nutrients more readily available to plants. It’s amazing how many sources still define compost as humus. It’s not. Compost contains humus, which is one reason for its remarkable traits. But if it were entirely humus, our gardening lives would be much easier because we would only need to add it every hundred years or so, instead of once or twice a season. Think of this as ancient, dinosaur-age compost. 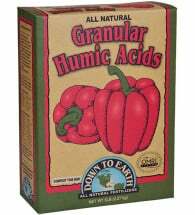 Down to Earth® Granular Humic Acid Fertilizer is harvested from a huge deposit of compressed and decomposed plant life from millions of years ago. 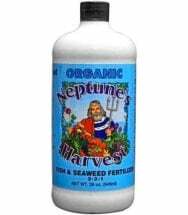 Encourages microbial life and nutrient uptake. OMRI Listed for use in organic production. Compost, as noted above, and as every gardener knows to her sorrow, needs to be renewed. It consists of a remarkably complex mix of compounds, elements and living micro-organisms, many of which get used by plants once they are in soil. Humus, in contrast, can remain unchanged in soil for thousands of years. Humus is the organic material most resistant to decay, ligneous material derived from tough, fibrous and waxy sources. 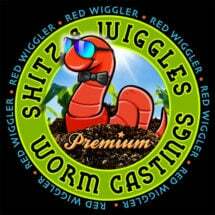 It consists of long, complex molecules that are eaten and excreted by various soil inhabitants over and over again without undergoing any chemical or biological change. These molecules play important roles in building soil structure. Because they are so long and complicated, they tend to provide plenty of places where other molecules can latch on. They promote soil aggregation, the gathering of soil molecules into small clumps or aggregates. And aggregation is key to maintaining good soil structure. Some quite reputable people will say this, word for word. The reason, of course, is that most farmers and gardeners are constantly struggling to produce enough compost for their fields and gardens. It’s hard to imagine having too much. The best you can buy! 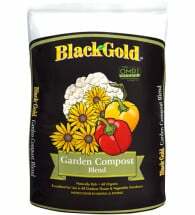 Black Gold® Garden Compost provides organic matter and natural nutrients for flowers and vegetables — improves soil texture and structure. 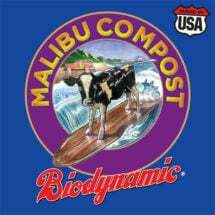 Does NOT contain sewage sludge or biosolids. OMRI Listed for use in organic production. It’s fairly obvious that smothering a lawn in compost is not a good idea, even if you smother it with organic compost. (Perhaps this is the horticultural equivalent of smothering someone with love?) The recommended application rate for lawns is in fact only 1 cubic yard of compost for every 1,000 square feet, which works out to 1/4th to 1/3rd of an inch in depth. The suggested rate of 1/4″ in depth simply seems too thin. But more actually can smother grass, or at least the part of it closest to the ground. And if you damage that part, chances are you’ll lose the whole plant. Linda Chalker-Scott, a horticulturist at both Washington University and Washington State University, with experience in forests, landscaping, and gardens, devotes several entries in her “Horticultural Myths” column to proving that one can indeed use too much compost, especially if one uses it where no organic material should be used at all. All of these columns, which originally appeared in Master Gardener Magazine can be downloaded from her website. This logic, according to Chalker-Scott, applies to many landscaping uses of organic matter including compost. She stresses that agricultural fields, which undergo intensive cultivation, need intensive replenishment. Permanent landscaping features do not. Her column from December of 2004 (Amending Your Soil with Organic Matter Will Improve Water Quality in Streams – PDF) outlines the many problems that can result, including water pollution. 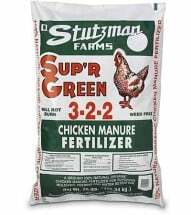 Too much fertilizer causes nutrient overloading whether the fertilizer comes from synthetics or from compost. 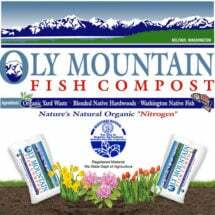 The nutrient content of compost and other organic amendments is much lower than that of most fertilizers. When it is mixed with soil at a ratio of 1:4 or even higher, there’s a huge, but slowly- released nutrient load. Compost increases the nutrients in soil not only by adding those it contains, but also by boosting the activity of microbes that release nutrients already in the soil. 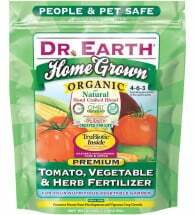 The nutrients contributed by compost, therefore, far exceed those actually in it. 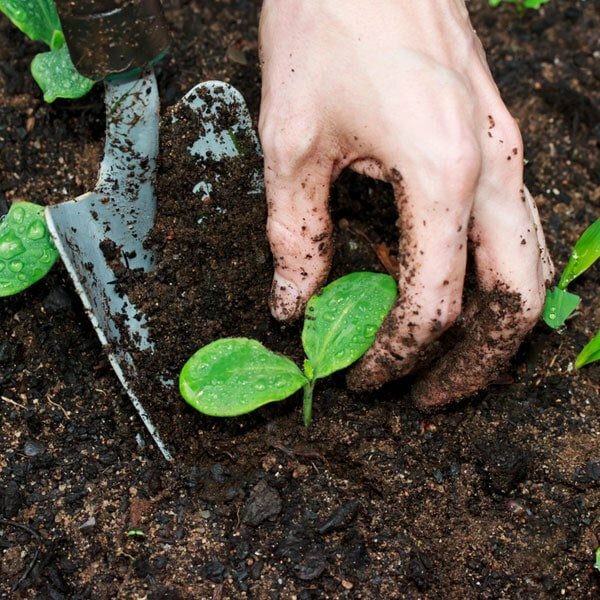 Even experienced gardeners often don’t know that good soil contains only about 5% organic matter by weight, which is equivalent to about 10% by volume. (See Chalker-Scott’s myth for March, 2003, Healthy Soil Has High Organic Content – PDF) People overestimate the optimal amount as routinely as they overestimate the amount of fat in milk. Here, as anywhere, it is possible to overdo a good thing. 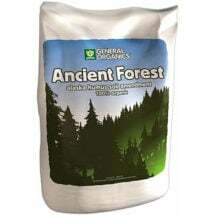 Contains pure, naturally decomposed forest humus -- NO fillers or additives. Made from plant materials and minerals, with NO animal products or by-products.